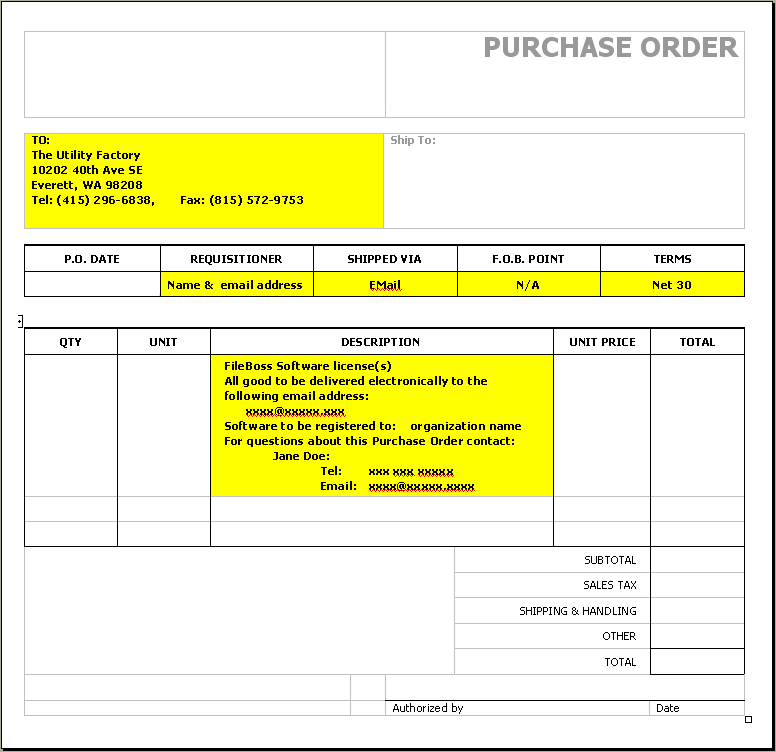 The areas highlighted in yellow contain information must appear in the purchase order. The purchase is for FileBoss Software license(s). The name and email address of the person who will be receiving the registration code. That the terms are NET 30. The name that the software will be registered to. This will become part of the registration and will appear in the About box in the program. Normally this should be the organization's name, e.g. Acme, Inc or Genius School District etc. The name, telephone number and email address of the contact for questions about this purchase order. We can only accept purchase orders from US companies and organizations and for amounts more than US $1,000. Terms are always net 30.